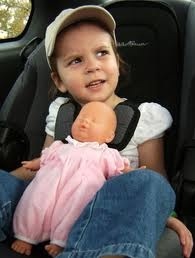 There are times when following the Casey Anthony murder trial that Caylee Marie gets left out of the equation. Her mother is the focus of the trial and we tend to keep our attention on what is going to happen next in the now two year and seven month saga, if you count from the last day she was seen by anyone but her mother. We rarely see her name in the defense motions. She is usually referred to as the "victim". 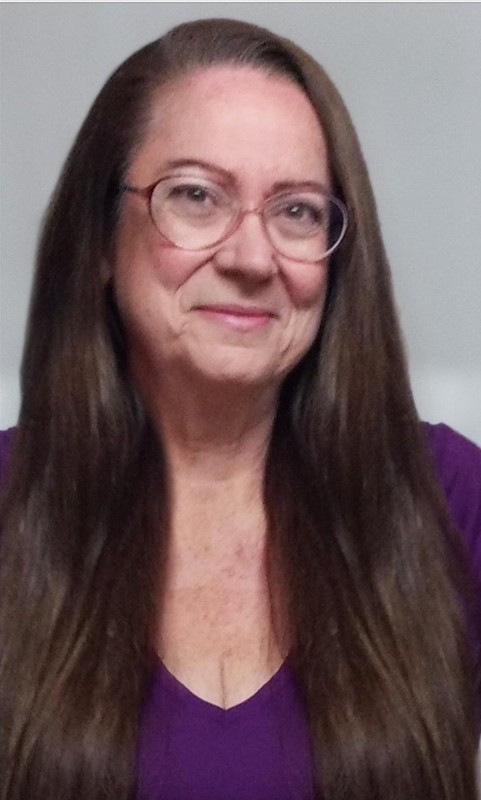 Her picture is omitted from many articles because we have been focused on the judge, the attorneys, the grandparents, and the Defendant as Casey is often called. When I find myself "forgetting" about Caylee, I Google her images and feast my eyes on the many photographs of her, mostly taken by her mother. She was a child on the go, lively and full of childhood spirit. With her death, we need to see that she receives the full justice she deserves. If, indeed, Casey Anthony murdered Caylee to gain her own time to be on the go and live the "Bella Vita", then, as Cindy Anthony has said, "Justice for Caylee is justice for Casey". The little bits of news yesterday put me in a positive mood about justice for Caylee. There were no major breakthroughs; certainly no smoking guns. Just a few little things that give me hope. First was an article from WESH. In it, we learn that three of the TES searchers affirmed that they were fish the defense had caught. Unfortunately, they weren't keepers. First, Kevin and Lisa Galloway, a couple who had searched Suburban Drive with TES on ATV's reported that they "were probably the closest to her of anyone on the search". They also reported that "the area where the remains were later found was under waist-deep water in September 2008. From what they saw, they said they believe Caylee Anthony's remains were present and submerged". Another witness that testified on Thursday, Melinda White, told WESH 2 news she never searched the exact area where the remains were found. There were another seven to ten searchers who reported for depositions yesterday as well. I have a strong feeling that what they had to say wasn't much different. They either said they didn't search the spot where Caylee was found or that the area was under water. None of these individuals were added to the defense witness list prior to the depositions, a fact I find very unusual. It leads me to believe that the PI (probably Jeremy Lyons) was the one who interviewed them and considered them to be prime rebuttal witnesses to all the other witnesses from TES which are on the State's witness list. Did anyone from the defense team ever sit down and talk to these people? Did Baez and Mason just take Mr. Lyons' reports as totally factual? One would think that the defense team would have learned a lesson from their experience with Laura Buchanan and Joseph Jordan. For the defense teams massive "fishing expedition" to work, they would have to find far more than one credible witness to buttress their argument that Caylee's remains were placed on Suburban Drive after Casey was incarcerated. I don't think it's going to happen during the next four months. I don't believe it will ever happen. We also received a copy of Judge Perry's Order denying the defense Motion For Reconsideration. In it, he pointed out that "The assessment of $583.73 against counsel was a sanction authorized by Florida Rule of Criminal Procedure 3.220(n)(2) for willful violation of a discovery order...". Perry added that, "The Court then issued an Order clarifying the specific information each side was required to produce, and concluded that counsel willfully violated the very specific direction in that Order.". In a footnote to the above quote, the judge indicated that he wasn't buying into the "traffic" issue included in the defense motion since, "Counsel did not previously offer the information set forth in page six of the instant Motion for Reconsideration.". As I recall from that hearing, Cheney Mason had no idea why the documents were late and Jose Baez muttered something about not having all the information and preferred to file a complete compliance late. In fact, he had assumed that the judge wouldn't mind if it were a day late! Judge Perry concluded that the 300 pages the defense "dropped", when all was said and done, were still not in compliance with his order! This latest development is also good news for Caylee's justice. The defense will have to comply with reciprocal discovery for face even more dire consequences such as being cited for contempt and possibly paying a much more hefty fine. The playing field has now been leveled in terms of discovery. Lastly, Baez has filed yet another motion asking for 300 more investigative hours. It should be interesting to see how many more hours Judge Perry provides the defense. I would hope by then, the results of all the TES searcher depositions will be known to the judge. I would expect to see an amended defense witness list if any of these people support the defense theory. Otherwise, the defense expended huge amounts of taxpayer money and came up empty. As a contrast to Baez' request for investigative hours, Ann Finnell does stand a much better chance of receiving what she has asked for in her motion. Her investigators also submitted expense summaries. They are detailed and meticulous, marking time spent on task to .1 hours! Compare the two lists provided in the two motions to see the difference. Just a reminder that the next status hearing is scheduled for February 4 at 1:30 PM. Thank you for the beautifully written article and for honoring Caylee's name! Defense wants us to forget about this little angel named Caylee Maria Anthony but we are here so justice will be brought for her since her own blood the "Anthony's" completely forgot about her. Caylee's often remembered when her family needs to make an extra buck, then Caylee is remembered. Sick people! What it has annoyed me the most it was the invoice JB's sent with the PI's records. What does an "attempt to interview" mean? You just go an knock at a person's door and if the person is not there, we "taxpayers" have to pay for the "not accomplished work"? I will be very upset if HHJP will give them more hours. Did defense ever hear of telephone call to make an appointment? Does JB have a secretary to make phone calls for them? I have a question, it seems defense has not added the 10 TES searchers that were deposed yesterday to their list. For some reason I thought they (defense) had turned this list over to the Prosecutors. Was defense present when Prosecutors deposed the searchers right? I agree with you that justice is getting closer and closer to Caylee! Tru TV's In Session is already running promos for the trial-"Coming in May, the Casey Anthony Murder Trial." Great article. Thank you for reminding us of why we are all glued to these blogs...to make sure there is justice for Caylee. I was just reading on WFTV'S site all the goings ons of the day and I think JUDGE PERRY is finally putting an end to all this crap that BAEZ is dishing out. FINALLY :) I am HOPING that his latest rulings will be JUSTICE for CAYLEE. I HONESTLY can not imagine any person going through this trial and not thinking Casey did this. I mean her actions SPEAK LOUDLY. Curious though Rita...what do u think is going to happen with BAEZ? Is he going to be prepared or come out the BUMBLING fool he has been since this case started? I would think just the preliminary things we have seen over the years from the STATE, that BAEZ does not stand a chance of ACQUITTAL. Also I find it funny how for the past 9 months GEORGE and CINDY have been quite QUIET!! Have they finally come to terms, Casey is...GUILTY? FRG, the prosecution has the list, even though they haven't been formally added to the defense witness list. From what I read and from some other sources, these people seem to have no clue as to why they were called to be deposed! I'm betting they were all "Lyonized" and Mason and Baez never bothered to interview these important potential witnesses for themselves. So far, they seem to have only hooked more fish for the prosecution! David,InSession will be covering the trial, they are already covering the hearings. It's just too bad that the coverage shuts down a full two hours before the court day is over. They won't even catch the coverage on Saturday. There will be plenty of live-streaming anyway. I plan to watch the "lunch time" coverage there and watch the trial itself on the computer. Stephanie, I am expecting Baez to show some improvement once he is in front of a jury. How much improvement, I don't know. I'm also mentally preparing myself for the possibility that, at the very last moment, the defense will ask for a plea deal with LWOP for Casey.